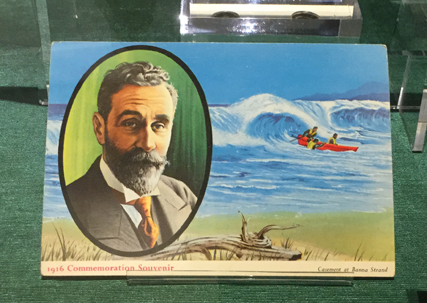 Roger Casement’s landing at Banna Strand on Good Friday 1916 was a pivotal event in the lead up to the rebellion that broke out in Dublin a few days later. 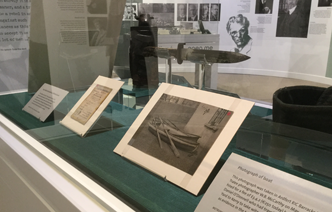 Our exhibition guides you through Casement’s fascinating life journey: from crown servant and celebrated international humanitarian to doomed revolutionary. 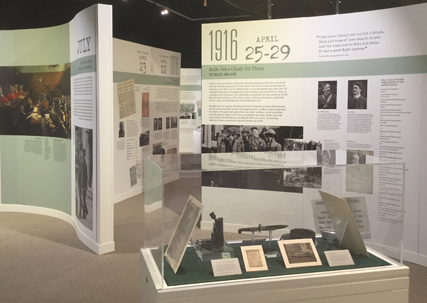 We explore the repercussions of his brief sojourn in Kerry and its impact on local people, how the failure of his gun running mission affected The Rising, and the way his trial for High Treason was prosecuted in London. 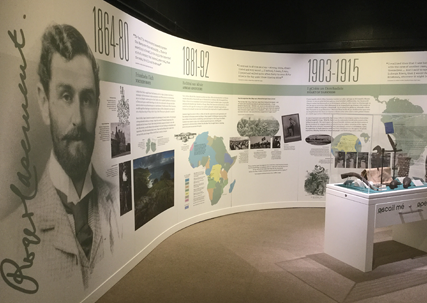 Tracing this remarkable man’s legacy, the exhibition provides a unique opportunity to view objects that have never been displayed before. 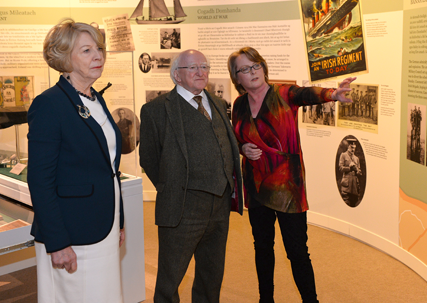 ‘Casement in Kerry: a revolutionary journey’ marks the centenary of the Easter Rising and makes an important contribution to the national commemoration. 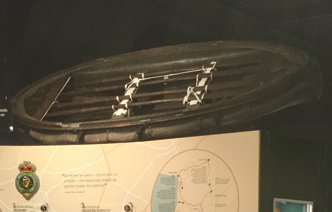 Dinghy from U19 – the little rowboat used by Casement, Monteith and Bailey to make land on Banna Strand after they were dropped off from the German submarine in Tralee Bay. 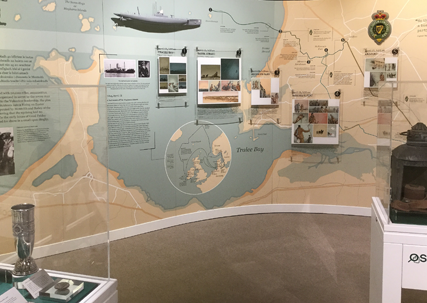 On loan from London’s Imperial War Museum, this is its first return visit to Ireland and the only time in almost a hundred years that the boat has gone on public display. 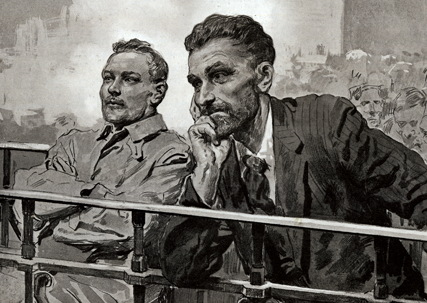 Trial evidence – the key items and documents used by the Crown prosecution in Casement’s trial for high treason. 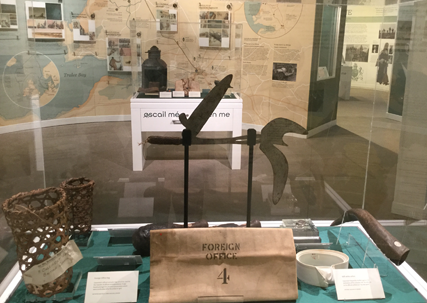 This is the only time these exhibits have gone on display outside the Metropolitan Police Crime Museum in London. 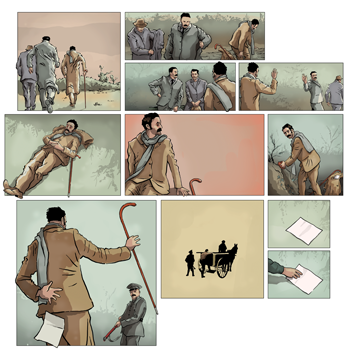 Graphic novel style illustrations – a series of meticulously researched and beautifully executed drawings by Dutch born artist, Ron van der Noll, bringing Casement’s Kerry sojourn vividly to life.